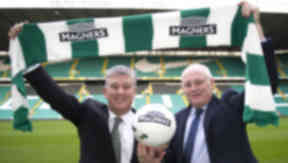 The Parkhead club have signed an agreement with Magners to take effect from next season. Celtic have announced a shirt sponsorship deal with Magners Cider from next season, ending 14 years of negotiating joint sponsorship deals with Rangers. The deal means that Celtic's shirts will carry Magners branding for the next three years. From next season, Celtic and Rangers will display different shirt sponsors for the first time since 1999. Rangers chief executive Charles Green later told STV News that the Ibrox club would be negotiating its own sponsorship package. Magners is owned by the C&C Group PLC, which also owns current Celtic and Rangers sponsor, Tennent's Lager. Celtic shareholders raised a motion at the club’s AGM in October to end their association with their Glasgow rivals, which was described as "increasingly unpopular with supporters". In response, the club’s board said such a move would "seriously limit the number of potential sponsors available and hinder the company unnecessarily in any sponsorship negotiations that did take place". 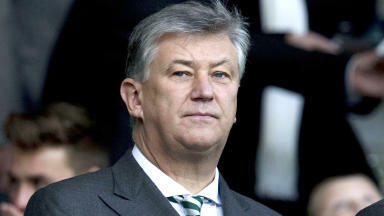 Announcing the new deal on Wednesday, Celtic chief executive Peter Lawwell said the contract had been agreed before the shareholders' motion at the AGM. He added: "Previous shared sponsors was down to circumstances but we have our own brand, story and traditions." During a media conference announcing the deal, Mr Lawwell described it as a "multi-million pound" agreement, but would not reveal the money involved because of "commercial confidentiality". 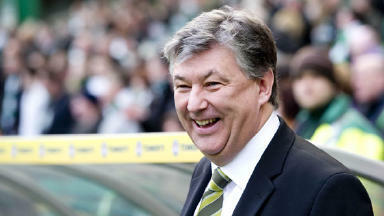 He also stated that the deal was on "improved terms" for Celtic on the previous three-year deal with Tennent's. The chief executive also stated that both Celtic and Rangers had not set out to work together on previous sponsorship deals, while he stated that the financial troubles of their rivals had not altered their own business dealings. He told Celtic's official website: "On behalf of everyone at Celtic, I am delighted to welcome Magners as the club’s new shirt sponsor. "This partnership is magnificent news, not only for Celtic but also for Scottish football. We are proud to be successfully leading Scottish football at home and in Europe. Lawwell did not reveal the specifics of the multi-million pound deal but said it was an improvement on the existing £1.5m per season agreement. The club's current deal, a joint agreement with Rangers, is with Tennent's Lager, although the 2010 contract comes to an end this summer. On Tuesday, leaked pictures of Celtic's new shirt for the 2013/14 season were confirmed as being legitimate. The photograph of the new kit featured Tennent's as the principal shirt sponsor.